Tehran's icky history with rats goes back a few decades and it now seems to be coming to an unexpected head. An estimated 25 million rats are running rampant in the Iranian capital of Tehran, being forced out of their nests by melting snow. What makes this even worse is that these rats are huge...some of them are weighing in at nearly twelve pounds. It hasn't gotten quite this bad yet...City officials have speculated that the sheer size of these rats is the result of some sort of mutation, but lab animal vets at LSU indicate that mutations such as these would take generations to evolve. These same vets also point out that certain breeds of rats can simply get very big and, in some cases, have even become resistant to most strains of rat poison. 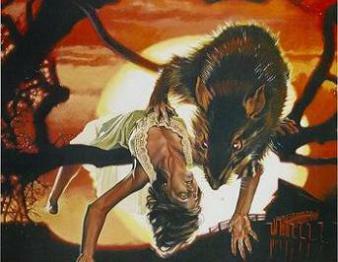 It's not like something out of a bad sci-fi flick where radiation or nuclear mistakes have wreaked havoc...it simply seems that a very big-boned species of rat is running for their lives and causing quite a stir among the human population. As if this whole ordeal wasn't scary enough, the LSU vets also indicate that in the Middle Ages, it was rumored that rats got big enough to kill cats and carry off babies. While there have been no kidnapping-by-rat cases to come out of Tehran, the situation still remains grim. The area is basically under plague conditions. Volunteers are helping city employee with clean-up and extermination efforts as Tehran tries to get the situation under control.